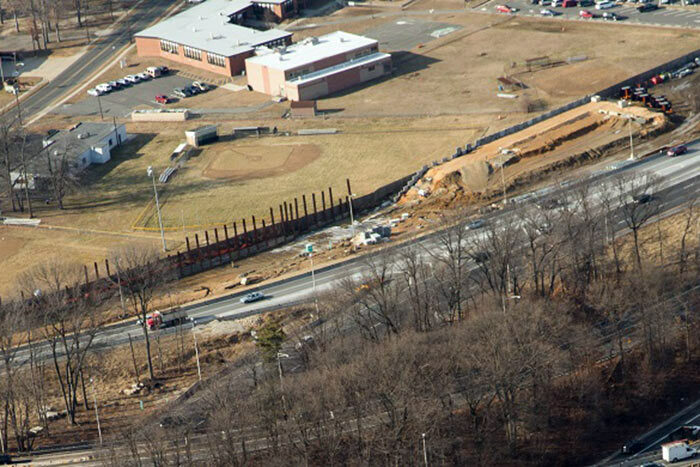 retaining wall will be located along the right side of the ramp. and the temporary noise barrier is in place. 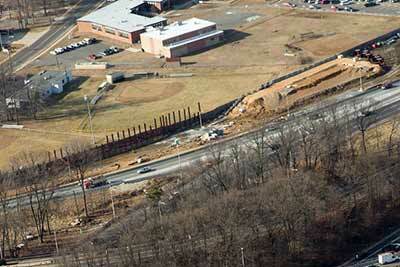 pipe crossing under Route 42 before Retaining Wall 19 is built. 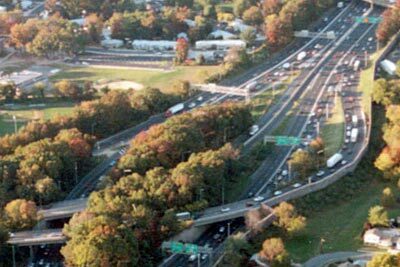 southbound ramp to I-295 southbound. Th new pipe crossing under Route 42 is completed. 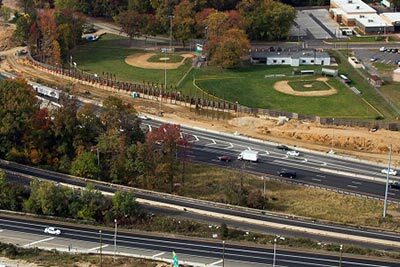 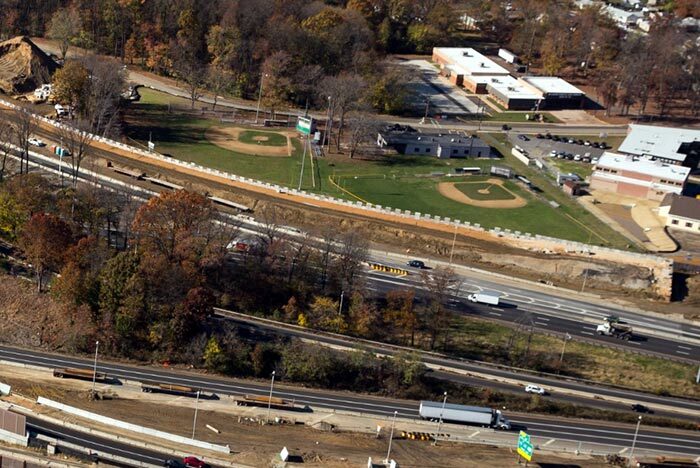 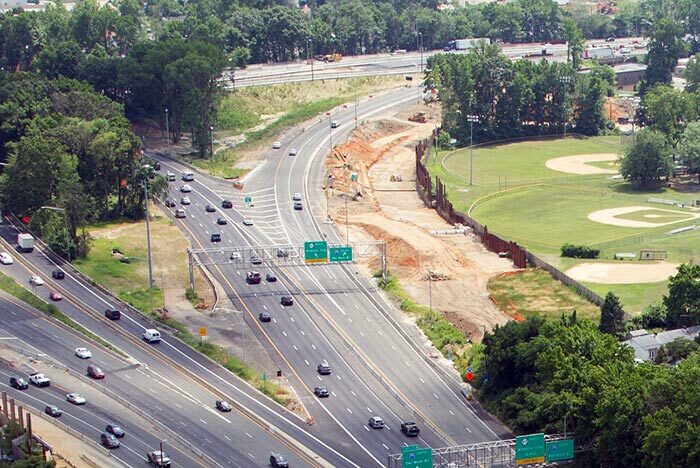 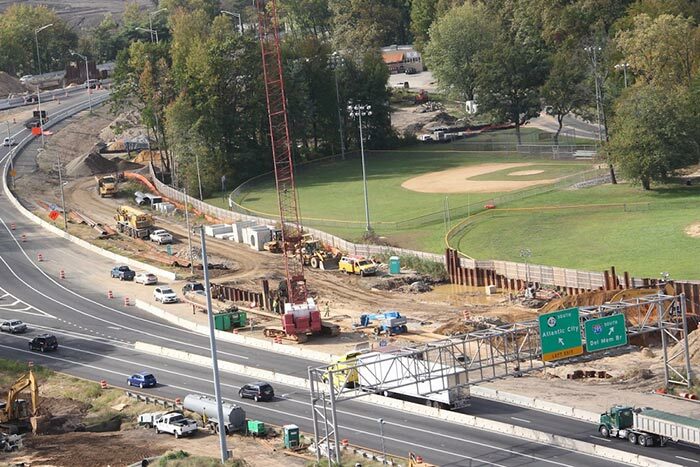 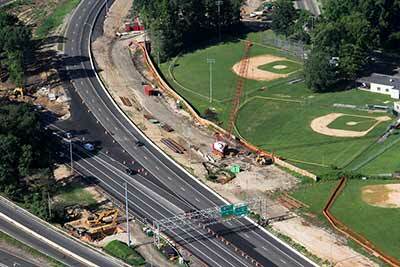 I-295 southbound with Retaining Wall 19 construction underway.